Our Center offers holistic treatment alternatives to effect mental, emotional, physical and spiritual health and wellness. Our commitment is to provide a safe, accepting, sacred space in times of initiation of self improvement, personal crisis and pain through guidance in the discovery of personal resources and the understanding of life experiences and transitions to a place of holistic healing and personal growth. Within the therapeutic relationship, we offer the opportunity to explore, learn and integrate new ways of thinking, feeling and behaving, empowering you to make healthy change, to heal at the deepest level and to live your life to the fullest. Within each of us is a limitless well of wisdom, compassion, understanding, forgiveness, forbearance, peace, joy, and love. We invite you to enter the domain of the inner self for health and wellness. Looking for more information on hypnosis Akron OH? 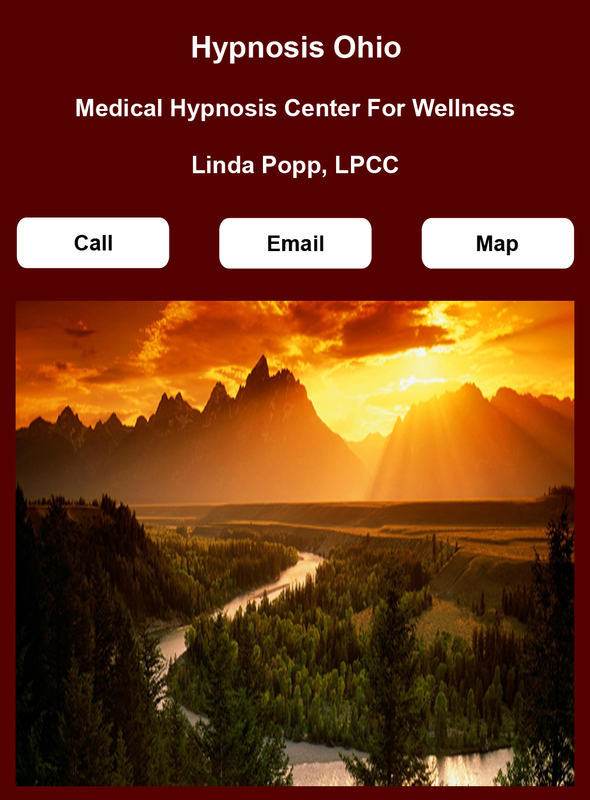 Contact our Licensed Professional Clinical Counselor for information on hypnosis for weight loss Akron OH, hypnosis for smoking Akron OH, and hypnosis for anxiety Akron OH. We are also able to assist with hypnosis training Akron OH. Interested in hypnosis Akron OH? Call our licensed professional for hypnosis for weight loss Akron OH, hypnosis for smoking Akron OH, hypnosis for anxiety Akron OH, and hypnosis training Akron OH.